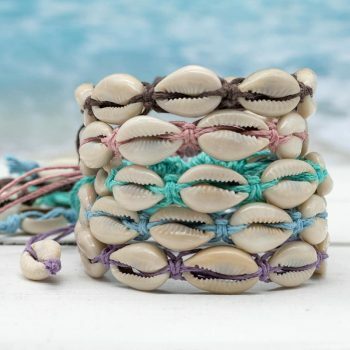 Hemp charm anklet made with natural hemp cord, starfish and shell alloy metal charms and glass crow beads. The anklet can be taken off with a bead and loop clasp but it can be made with loose ends to tie if you prefer. Place a tape measure around your ankle not too tight and not too loose and record the measurement in inches. 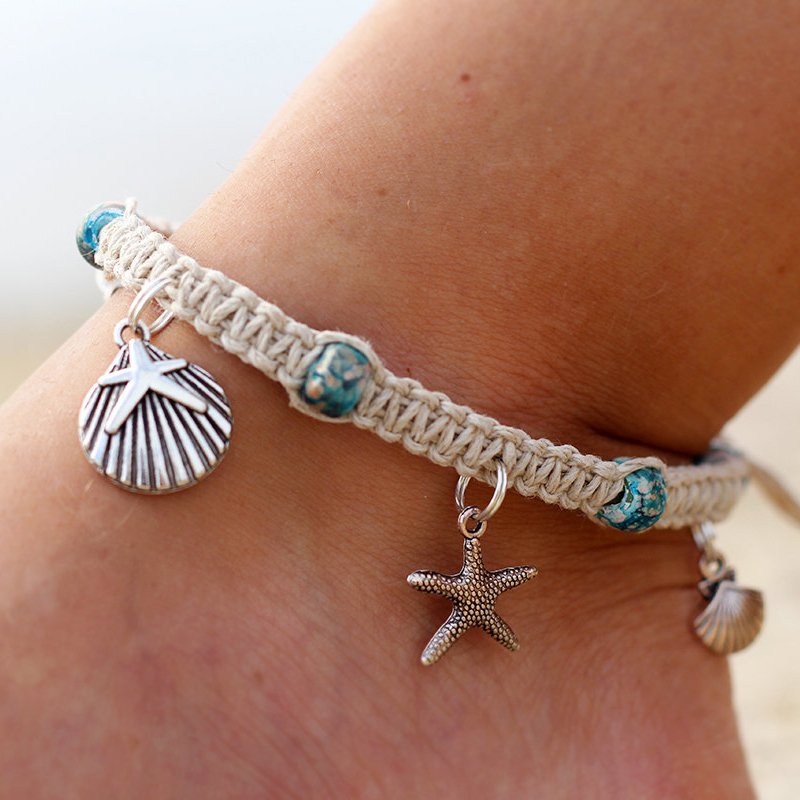 Allow an extra 1/2 inch for the clasp and add an extra inch if you wish the anklet to be loose fitting. 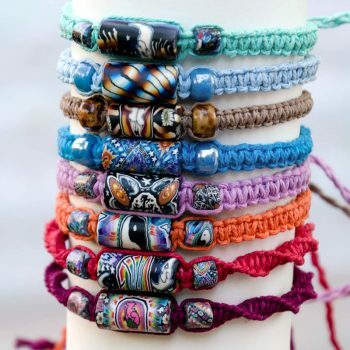 The measurement recorded with the tape is the length of the macrame work and the extra 1/2 inch is for the clasp and looseness of fitting.